Growing up two of the people I looked up to were Nelson Riddle and Ted Nash. Nash had a sound I could never duplicate on my trombone. I studied every note of Riddle arrangements instead of reading comic books to the point I knew the orchestrations as well as Riddle. It was his arrangements that made his sound. It didn’t matter whether it was a vocal from Sinatra or Fitzgerald or an instrumental his sound was always there. 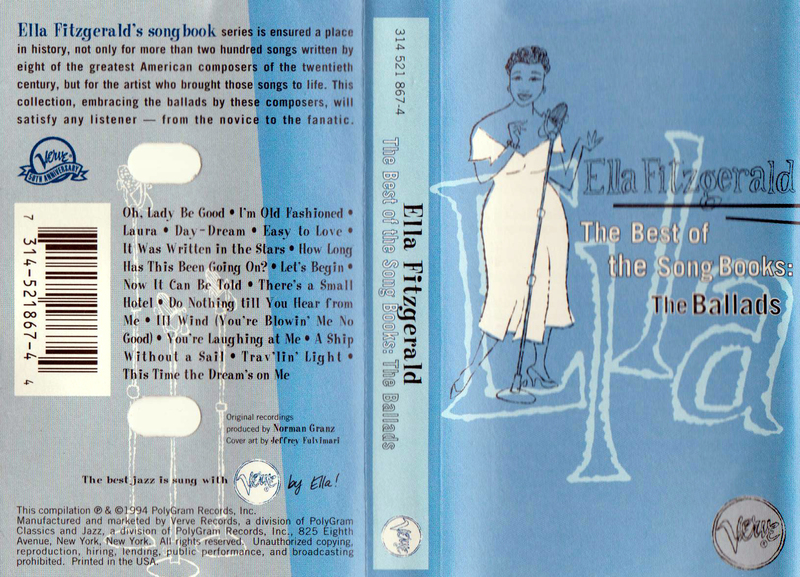 This Ella Fitzgerald album not only features Riddle but Billy May, Barney Kessel, and Russell Garcia. In keeping with the format of these cassette transfer reviews I’ve chosen the track “Laura,” a fine representation of the sound of Riddle, the voice of Fitzgerald, and an all star band offering a superb arrangement of the Raksin composition. Click on the Street Scene to hear the entire track also known as the Sentimental Rhapsody, a name I’d never heard being associated with the Newman classic before. 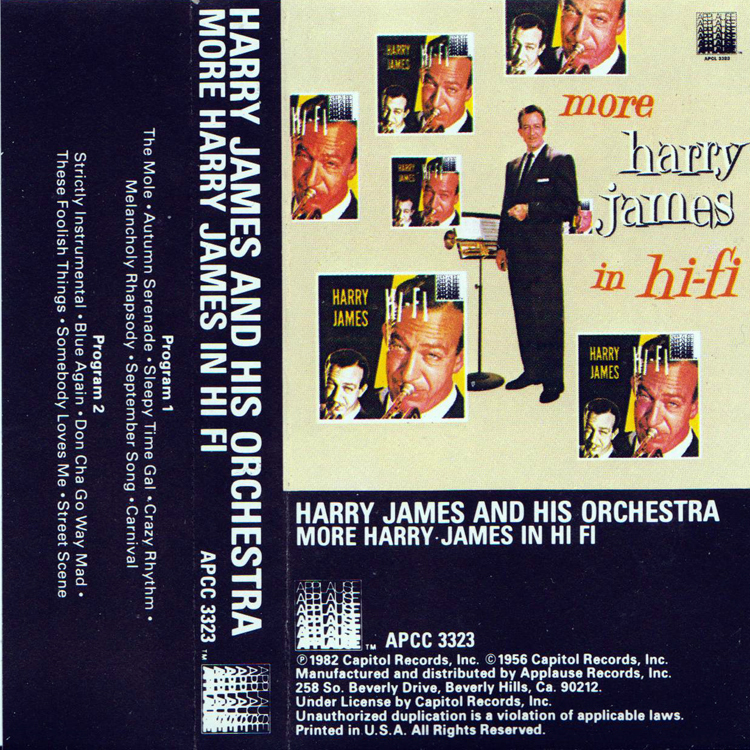 The cassette also includes the following selections: The Mole, Autumn Serenade, Sleepy Time Gal, Crazy Rhythm, Melancholy Rhapsody, September Song, Carnival, Strictly Instrumental, Blue Again, Don Cha Go Away Mad, These Foolish Things, and Somebody Loves Me. This LP goes back to 1955 and is a mono recording. I was expecting a sweet band style and was presently surprised at the quality of the recording, band and arrangements. As is sometimes the case with cassettes there was no band member listings or arrangement credit.